What exactly is time? It can be viewed as a linear phenomenon, one that stretches infinitely back into the past and infinitely forward into the future. Or it can be viewed as cyclical, a series of repeating patterns defined by the seasons. The latter is the view taken by many traditional cultures, including the ancient Chinese. The Chinese are adept at recognizing cyclical patterns in nature. They view themselves and their activities as part of these patterns and seek to live in accord with them. Generations of human lives have refined the understanding that Spring gives birth, summer grows, autumn gathers, and winter stores. Traditional agricultural societies are based on this understanding of time and seasonal change. But modern society and its technology have separated many humans from the cycles of nature. Fortunately, the ancient Chinese have studied the cyclical nature of time and its impact on humans in great detail. There is much to be learned from these observations if one recognizes that humans are subject to the same principles of cyclical time that govern all natural phenomena. Mostly it is common sense to live in harmony with the seasons. We wear heavy clothing and eat warm food in winter, dress lightly and eat more salads and fruits foods in summer. The tricky part is adjusting the body and mind during the transitions between seasons. The transition between winter and spring is particularly difficult for humans both physically and emotionally. Even as the seeds of springtime activity and desires are stirring, the environment remains cold and harsh, and the warmth of home beckons. Yet, cabin fever often sets in at the end of winter, and we yearn for activity and sunlight. These conflicting urges can lead to health issues as the body and mind awaken from their metaphorical slumber. Let’s examine some common health problems that arise in the transition from winter to spring. 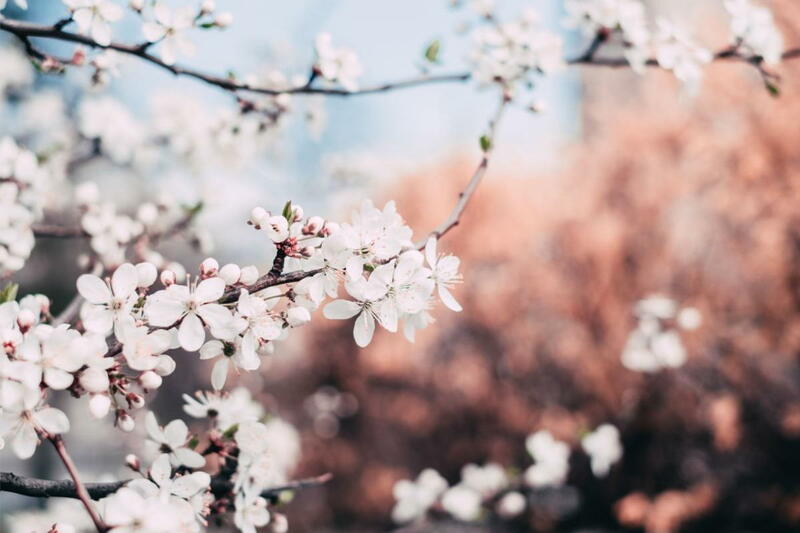 Spring is associated with the liver organ in Chinese medicine. The healthy liver is like a sapling: rapidly growing up and out, yet flexible enough to deal with obstructions and difficulties. Coming out of winter, the body must awaken from its period of dormancy, stillness, and contemplation. It must be reborn into the world of activity, movement, and service. A person with a weak liver may have trouble adjusting to Spring. In these cases, one may feel groggy and stiff. The liver blood animates the eyes, so vision problems such as blurry vision, floaters, or dry and itchy eyes often arise in spring. The liver also controls the tendons and ligaments, so stiff and painful joints are also common in spring. Others may have overactive livers. These people are likely to suffer from headaches and hypertension as reactivated liver energy rises excessively. Excessive liver energy may also lead to digestive problems such as bloating, gas, and pain. The liver regulates the energy of the entire body and works closely with the stomach and intestines to ensure smooth movement of the digestion. An overactive liver often impairs digestive function. Still others may have stagnant or depressed liver energy. In addition to regulating the body’s energy, it also regulates the emotions. A healthy liver allows the mind to experience emotions appropriately and then move on to the next feeling. A stagnant liver may cause us to become stuck in a certain emotion. Anger, frustration, and irritability are the sensitive emotions of the Liver, so they often arise in spring. How do we ease these season physical and emotional challenges? First, be aware of your place in cyclical time. Are we in the deep stillness of winter, or at the end of winter when the seeds of activity are stirring, or is it warming into spring already? The Chinese view the liver as guiding us towards our destiny and true purpose. As spring approaches it is time to wake up, smell the coffee, make to do lists, and start preparing and planning. A healthy liver establishes clear purpose, intention, and perseverance for attaining goals. Physically, it is time to move. But be cautious when beginning to be more active. Gentle stretching and low impact exercise are the best choices to avoid tendon, ligament and joint problems. Once the body has warmed up and become supple it can withstand more rigorous exercise and activity. Chinese diet therapy states that warm and cooked foods should make up most of our diet year round. However, a slight increase in fresh raw greens and sprouts is a good way the stimulate the liver for renewal. Also, the Liver will benefit from not having to process fried, rich, and spicy foods, which can impair its function. Emotionally, spring is an ideal time to let go of negative emotions and grudges. It is a season of great change, which while difficult, offers great opportunity. Try something new, clean out your closet. Make physical and psychic space for new experiences and relationships to come into your life. So do yourself a favor. When the first warm day comes, open the window wide, breath deeply the crisp fresh air and recall exactly where you are in time.